Learn about the history and background of the Ebola virus in Africa; what is it; where did it come from; who can catch it and how can it be stopped? There have been a number of outbreaks of the Ebola virus in West Africa, and more recently in the Democratic Republic of the Congo (DRC). Guidelines have been issued by a number of Public Health Agencies worldwide, to assist in halting the spread of this deadly disease. 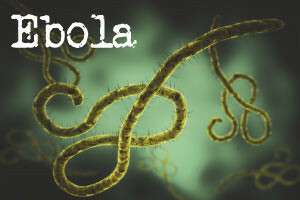 In this course you will learn about the history and background of the Ebola virus in Africa; where it emerged, facts and figures and how people have responded. Previous Ebola outbreaks have had mortality rates as high as 90%. The chances of dying from the most recent strain of the disease appear to be at around 60%. Learn about theories relating to the causes of Ebola, about the signs and symptoms of the disease, about how it is spread and is not spread and about treatments and therapies. World Health Organisation Ebola Task Force Members, have recommended a number of precautions that can be implemented in affected areas, to halt or slow down the Ebola virus and the Ebola virus disease (EVD). Learn about quarantine measures; protection against direct contact and bodily fluids; identifying affected persons; use of personal protective equipment; sterilization, interacting with animals (dead and alive); travel restrictions and education programmes. In some parts of West Africa, local superstitions and a reluctance to embrace modern medicine is slowing down responses to outbreaks. In addition, government and corporate corruption has divided communities further. Learn about social barriers that prevent the treatment of EVD and why active community participation is vital. A meeting of the WHO Emergency Committee, regarding the recent Ebola Virus Disease (EVD) outbreak in the Democratic Republic of the Congo, took place in October 2018. The Committee is concerned by the outbreak and emphasized that response activities need to be intensified. Learn what the Committee reported, including issues such as security, epidemiological mapping and the use of vaccines. Summarize the use of 'ring vaccination', as part of a wider treatment strategy.